With summer just around the corner, we would like to discuss the accuracy of apps used to calculate the blood alcohol concentration level. Such apps are readily available to the public. Robson Forensic, a nationwide leader in expert witness consulting, performed an inclusive study simulating a situation where a man and woman consumed enough alcohol to make them intoxicated. After the simulation was completed, a toxicologist reviewed the ability of the apps to accurately correlate the BAC to the level of intoxication. 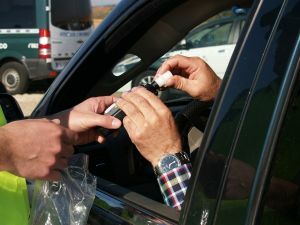 Elevated BAC levels can result in DUI charges. The app communicated basic principles like the maximum % BAC as a function of drinks consumed and time to reach 0.08 % BAC if this value is exceeded. The app calculated wait time values to reach 0.08 % BAC (probably one of the more important aspects of a BAC App) exceed 50% difference from my calculated values for several situations tested (although in every case tested the wait time values exceeded my calculated wait time value, which is good). This suggests that the app at times underestimates the alcohol elimination rate and generates a value far in excess of my calculated value. The app generated male maximum % BAC values were close to my calculated values while there was a larger discrepancy between female generated maximum % BAC values and my calculated values. The app provided some good general information but it was not accurate in all situations tested. Therefore, while I would not consider the AlcoDroid app a reliable scientific tool, I do believe that some people can benefit from the app as it provides a conservative time estimate for when individuals will return to legal BAC levels. The app used in the test was the AlcoDroid Alcohol Tracker which is available for free on all Android devices. It was selected for the study because it was the primary BAC calculating app found on Google for download from Google Play at the time of the test. It is interesting to note some of the findings. As a personal injury and car accident lawyer, David Azizi states, “if you are going to drink alcohol, the best choice is not to drive. There are plenty of Uber drivers and taxis available throughout the city of Los Angeles and the entire state of California.” It is much cheaper to pay for a $50 Uber ride than it is to go through the trouble of a DUI in Los Angeles. Drunk drivers cause many accidents in the L.A. area, damaging property and causing injuries to other drivers, passengers, bicyclists and pedestrians. If you were injured by a drunk driver, call David Azizi 24/7 at 800-991-5292 for a free consultation. David will investigate your case, and make sure you receive the compensation you deserve.